Writer of Intense, Passionate Romance. Here i will share my journey of hopefully one day recognising my dream of becoming published writing what i love to read; Romance! 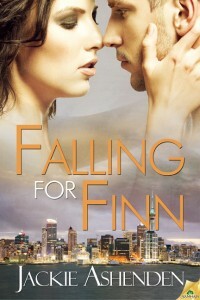 I have literally just finished Jackie's debut story Falling for Finn and i can't believe no one picked her up for publication earlier. Her writing is fabulous! Raw, real and so emotional. I've followed Jackie's struggles with writing, her bumpy road to publication and i just wanted to say that if that struggle is what produced this story? I can only hope i go through that same process. Phenomenal and no wonder she was finally, finally snapped up! Here is my review of her awesome story. If you haven't purchased it yet - this is a MUST! Jackie Ashenden has written a story so mindblowingly good! She goes so deep into her characters psyche you are left without a choice but to love them and know them. This story is raw, beautiful and hot! One of the love scenes left me nearly turning off my kindle so they could have privacy! The emotions and intensity are so real. It is so refreshing to have a story with real epithets, real, modern cussing that feels so natural. Book Release News and Writing Plans for 2019! I'm a busy mother of two, an Early Childhood Educator, living in Hamilton New Zealand. I write intense, dramatic romance with Alpha Males and strong females. Watch this space for what i learn on my road to publication! Where in the World are you Visiting From? I'm Presenting at a Writer's Conference! LOVE OUT LOUD Now in Paperback! What do you get when you cross . . .
A NEW WEBSITE for Rachel Morgan! Why Don't Authors Like Parents? Thanksgiving Success! Finding a Job Failure! But words are things, and a small drop of ink, falling, like dew, upon a thought, produces that which makes thousands, perhaps millions, think. Content is copyright © Kerrin Hearfield 2010. Any reproduction of text needs to first get permission from Kerrin. Any views expressed are the opinion of Kerrin and not meant to offend. Any pictures are used to emphasis my view and are not in any way representative of the people or places in real life.